What is Causing your Elbow Pain? A common form of elbow pain occurs when the muscles on the inside of the elbow (Medial Epicondylitis) or outside of the elbow (Lateral Epicondylitis) become inflamed and irritated. You may have heard of “Tennis Elbow” or “Golfer’s Elbow”, as these names typically describe elbow pain based on its location. However, despite the names, these symptoms can be brought on by a variety of different motions or activities that involve the elbow. Both forms of elbow pain are typically caused by overuse from a repetitive activity. 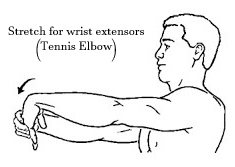 Tennis Elbow (Lateral Epicondylitis) occurs when the extensor muscles of the forearm become inflamed. Many of the muscles on the outside of the forearm attach to the outside of the elbow on the humerus bone at a spot called the “lateral epicondyle”. Symptoms may include sharp pain, swelling, and tenderness when the spot is touched or bumped. In addition, repetitive motions of wrist extension, which is used when performing a backhand tennis shot, can aggravate symptoms. 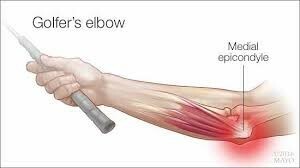 Golfer’s Elbow (Medial Epicondylitis), on the other hand, occurs when the flexor muscles on the inside of the forearm become irritated. 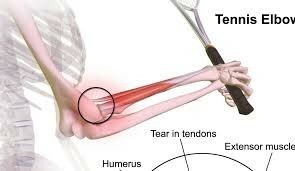 Just like in Tennis Elbow, the flexor muscles on the inside of the forearm attach to a common bony spot on the humerus called the medial epicondyle and may become irritated and painful after overuse or repetitive motion. 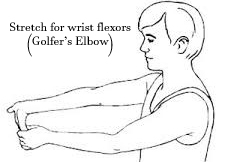 A common motion is the gripping of a golf club, hence the name “Golfer’s Elbow”. So, what can you do if you have this pain? The best approach is to rest and ice the affected muscles. Since these symptoms are caused by overuse, taking a break from the aggravating activity is important. Along with resting, decreasing the inflammation in the elbow is very important. Icing the elbow for 10-15 minutes every 3-4 hours can be an effective way to help decrease pain levels. In addition, some gentle stretching may help to alleviate tightness in the muscles. Finally, as symptoms decrease, strengthening exercises are important to help prepare the muscles for returning to the stressful activities. In addition to these treatment plans, people may find relief from wearing a brace just below the elbow to help reduce the amount of strain placed on the affected tendons. In more severe cases, NSAIDS may be needed to help reduce pain and inflammation in the elbow. As the symptoms decrease, it is important to begin a stretching and strengthening program to help restore full strength and range of motion in the affected elbow. A gradual return to activities is encouraged, however any increase in pain or soreness could indicate that the elbow is not ready to return to full activity levels. 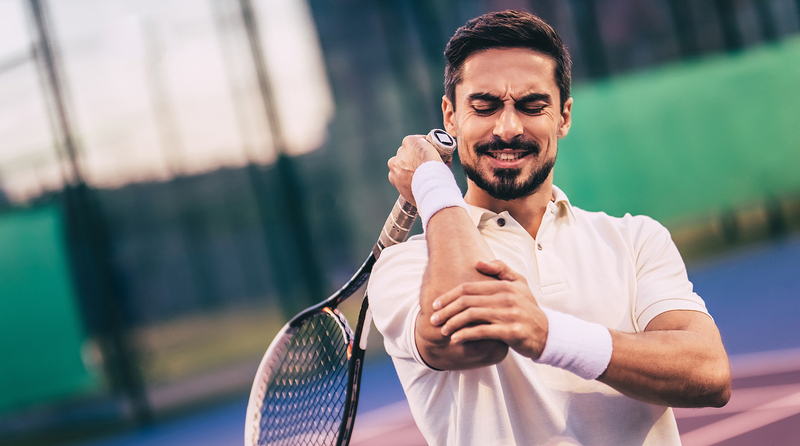 If you have are having difficulty treating the pain and soreness in your elbow on your own, physical therapy can be very helpful in guiding you with appropriate stretches and strengthening exercises for either Tennis Elbow or Golfer’s Elbow. In addition, PT can assist you in returning to the activities you love, including golf or tennis.